Since the beginning of the modern political system in America, women have been routinely underrepresented in the political arm of the country. In 1991, Americans were faced with a scandal that sparked a movement to change this norm. 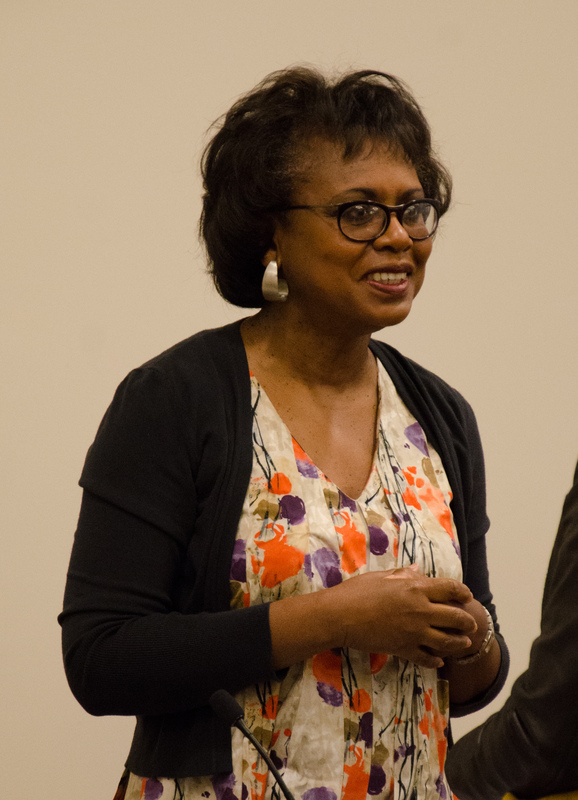 While in the process of confirming the Supreme Court Nominee Clarence Thomas, law professor Anita Hill accused Thomas of sexual misconduct and harassment while serving as her superior years prior. The allegations resulted in a 103-day Senate Judiciary hearing on the matter in which highly graphic testimonies from Anita Hill and other women who had worked with Thomas were given. The hearings were highly contentious and the nation was divided on whether or not Hill’s testimony was legitimate and if it should prevent the confirmation of Thomas. The hearings concluded with the confirmation of Clarence Thomas to the Supreme Court, a position which he continues to hold to this day. Both during and after the hearings, Hill faced intense scrutiny by the media and by many on the Judiciary Committee. Many believe the mistreatment of Hill during the hearings was a result of a lack of female representation on the Judiciary Committee and in the Senate. As a reaction to this mistreatment, a record number of women ran for political office in the midterm elections held the year following the hearings. Due to the record-breaking success of female candidates, 1992 was dubbed the ‘Year of the Woman.’ However, the ‘Year of the Woman failed’ to lead to a continuous and long term growth of female representation in politics as many had hoped; the elections after 1992 did not see similar numbers of female candidates. This left the breakout success of the Year of the Woman to be upheld only by the slow increase of female politicians in the American political system. 27 years later, a similar case occurred with the hearings of Christine Blasey-Ford. 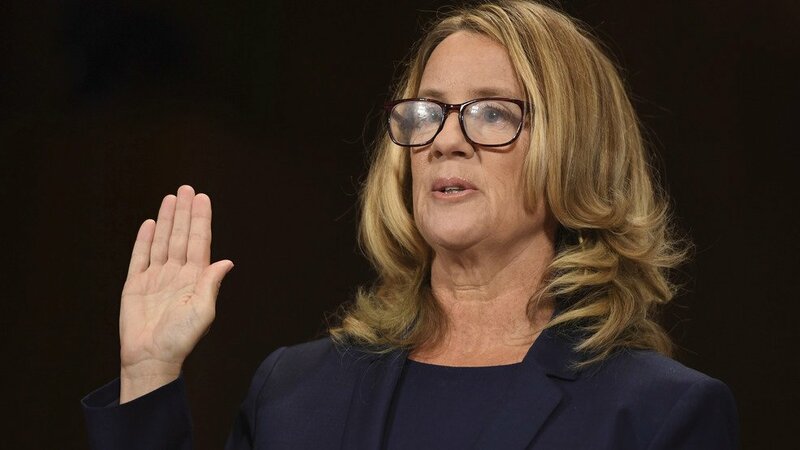 In September of 2018, professor Christine Blasey-Ford came forward publicly with allegations of sexual assault against the Supreme Court Nominee Brett Kavanaugh, alleging that 35 years prior he attacked her at a high school party. What happened next follows the pattern established during the Anita Hill hearings: a highly publicized Senate Judiciary hearing in which the female survivor is widely attacked for her story, and ending with a confirmation of the nominee to the Supreme Court. Similarly to the Anita Hill hearings, in the midterm elections to follow, a record number of women were elected to serve in political office and the media proclaimed that 2018 was the Year of the Woman. Yet, the question remains if history will repeat itself in full effect. Are we truly seeing a dramatic and continuous rise of women’s representation in politics? Or is this another short term effect that draws media attention yet will be followed only by a slow increase until the next tragic iteration? Hill stood seemingly alone, as her testimony was one of the landmark incidents which brought attention to sexual harassment and misconduct in the workplace. However, Blasey-Ford’s allegations arose in the era of #MeToo. 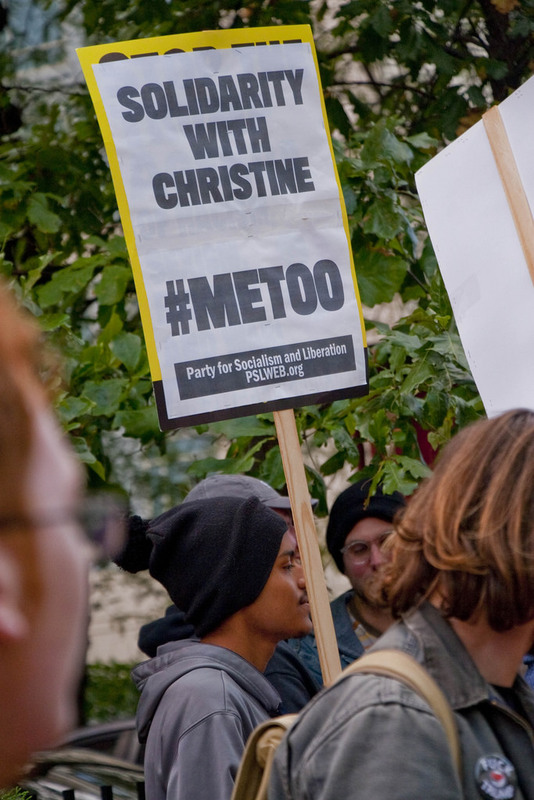 Defined as a cultural movement centred on drawing awareness to the widespread occurrence of sexual harassment and assault, the #MeToo era is aimed at supporting survivors of assault and on holding perpetrators accountable. In light of this recent explosion and socio-political movement, it appeared that societal perspectives were altered in a way that would prevent Blasey-Ford from undergoing the same mistreatment Hill did before her. While there was more vocal support for Blasey-Ford, she was not free entirely from the hostility that Hill faced. Hours-long Senate Judiciary hearings brought numerous questions aimed to undermine Blasey-Ford’s legitimacy as a witness and the hearings themselves resulted in a failure to hold an investigation by the Federal Bureau of Investigation. Similarly to the Anita Hill hearing, the desire of many to confirm a conservative judge on the Supreme Court and questions of legitimacy on the testimony seemed to overpower those who supported the survivor. These social differences are particularly noticeable when discussing race, as this cultural factor was a focal point during the Anita Hill hearings. Thomas frequently cited racial stereotypes being present during the hearings, even accusing them of being a “high-tech lynching for uppity blacks”. The public was also extremely divided on whether the hearings were a form of racism, with participants in a national survey stating “[Hill] should have known that [Thomas] would never get a fair hearing from a jury of all-white men”. The greater context of race relations in America during the 1990s placed pressure on the Judiciary Committee during the hearings, similarly to how the #MeToo movement put pressure on the Blasey-Ford hearing. The same fear of perceived racial bias cannot be said regarding the hearing of Christine Blasey-Ford on the allegations against Brett Kavanaugh, who are both of Caucasian descent. The racial stereotypes which Thomas frequently mentioned were at play in the hearing, along with the racism felt by Anita Hill when reporting, were not present in shaping the decisions of the Senate Judiciary Committee during the testimonies of Blasey-Ford and Kavanaugh. Although there were different societal pressures that existed for each case, the results remain the same. Both midterm elections immediately following the hearings resulted in unprecedented levels of female engagement in politics. In the 2018 midterm elections, candidates across the country broke major milestones with regards to representation, including electing a record number of women to sit in the House of Representatives. Yet, milestones were broken in 1992 as well, with a then-record-breaking 24 women elected to the House of Representatives. The initial question still remains; what will be the societal effect of these elections? Although not every year that followed 1992 continuously broke records, the long term trend indicated progress. 47 out of the 58 Hispanic American, African American, and Asian Pacific American women who have served in Congress were elected in the years following 1992, indicating that the first Year of the Woman created the opportunity for more diverse representation in politics. The effect of seeing women run and win elections cannot be understated when trying to determine if this trend will continue. Every woman who runs in an election creates more opportunities for other women to run, constructing a continuous positive cycle of increased representation in politics. Whether or not records will continuously be broken in the era after Christine Blasey-Ford’s testimony is hard to tell. We exist in a vastly different political arena than the 1990s, with a more diverse representation of elected officials than ever before. There is also more widespread support for female representation after the effects of #MeToo, and current growing support of female politicians who are currently in power. To say that every election following the 2018 midterms will offer groundbreaking results is potentially too optimistic considering what followed the 1992 elections. Regardless, the future of women in politics looks promising. There is a continuation of record-breaking with a historic number of female presidential hopefuls running in the Democratic primaries aiming to secure the nomination for the 2020 election. Whether this will translate to a female candidate becoming President, or the long-term continuation of the success of female politicians, cannot be determined with absolute certainty. Only time will tell the trends that will be seen in the elections to come, but for now, it appears the future is female. Catherine is a second year student currently pursuing a Joint Honours degree in Political Science and Gender, Sexuality, Feminist and Social Justice Studies. She specializes in human rights, feminism, and global activism. In her free time, Catherine enjoys listening to ABBA on repeat and complaining about the weather in Montreal.